You probably know that people make money on Facebook but you don’t know how. Your level may even be higher and you have taken Facebook ads before to boost your product or service online but unfortunately you accrued more debts than making profits. Yes, a lot of people have such bitter experiences and eventually concluded that Facebook advert does not work. If it is true that FB ad does not work, then, you won’t be seeing such volume of adverts on FB everyday. from someone that knows what you want to do. That gives you a fast track to the result you so much desire. One person that you should listen to when it comes to taking Facebook adverts to get massive result is Sam Nebo. This guy has been making millions monthly from the beginning of this year running his e-commerce with Facebook advert. Now that you know that he takes Facebook advert to get a good sales conversion, don’t make the mistake of rushing to FB to start taking advert too. There is secret to it. I don’t want you to get your fingers burnt just like one person that is presently so scared of running FB ads because he lost so much and didn’t make any thing meaningful with the amount of money he spent to run advert. Of course, we shall be talking about other things on the day. Opeyemi, my dear wife will be telling you how she is making money on Instagram and not only locally but internationally. She recently sold a cloth she bought for just N6,500 for N15,000 online making a whopping profit margin of N8,500.00 . Knowledge indeed is powerful. She will be giving you the secrets of how she is making such killing profit online. Don’t forget to prepare to go home with free executive cab after the training. That is becoming like a trademark with us. People do go home after training in AC fitted car with courteous driver without paying a dime for the service. To be part of it, come with your Android phone to download the app. You need your ATM card (MasterCard or VISA) that has about 2k to 3k to just activate the free ride. Don’t worry; you are not paying any thing from your card. I will explain to you at the seminar why the money should be there. You will get instant N2,500.00 credit to take a free ride after the training. Make sure you come with your internet connection too to down and run the app that makes it possible. After the free session, we are going to have solid practical session where Sam Nebo will show you exactly what he is doing to keep gathering millions monthly into his bank account. That is the meat of the training. It is the real deal. It costs N30,000.00 only. But like I have been telling other people that have been asking if the training really worth it. My simple answer is that you will not make money ONLY and ONLY if you fail to take action and follow the instruction as dished out by Sam Nebo. This training could be your link to making that monthly millions too as you have always desired. Work towards becoming part of the practical session, you can never regret of being part of the the training, it is always explosive. 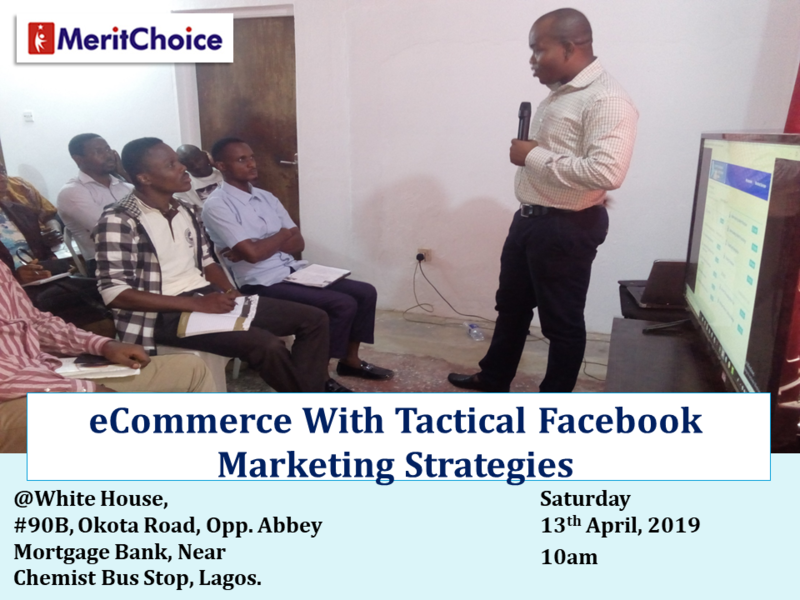 Click here to register for the Saturday’s MeritChoice ProfitReloaded Summit where you will enjoy the free session of our training and be able to participate in the live practical Facebook training. In case you are not in Lagos and you so much desire to know about the Facebook training by Sam Nebo, you don’t really need to travel down, you can make payment and we will send you the video online. You can call our customer care line or send email to us and we will give you the instruction of how to make your payment. Yeah, next week, Wednesday 17th and Thursday, 18th April, 2019, Prof. Adeyemo will return to show participants of our second batch training on how to write bankable and award winning business plan. The last training was a smash. The first set got luck to even gain entry into CBN Loan scheme for free. 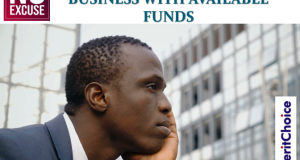 This time around, he will be digging deep again and showing attendees what is needed to get investors and banks running after you with fund for your business and idea. Prof. Adeyemo comes once in a month to Lagos and he is visiting again next week Wednesday and Thursday. You don’t want to miss that fantastic opportunity to learn this essential skill that could also help you to start making extra income writing business plan for others. Don’t forget, Prof charges N2.5million to write business plan. Attending his training means you are tapping into that deep level of wealth of experience and understanding. Click the link below to get in and register to be part of the class. 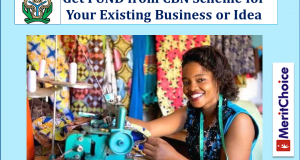 Prof. Adeyemo is the Chairman of Multiconsulting International Limited, which is one of the CBN accredited Entrepreneurship Development Institution (EDI) where you can acquire business skill that can help you to access CBN loan. 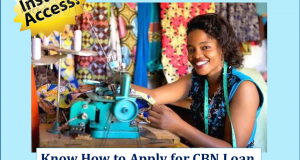 One of the courses you can learn and start is poultry business which is one of the businesses that CBN is ready to support with loan. The Poultry Business training is taking place at Abeokuta on Monday 8th and Tuesday 9th April, 2019. If you are interested, kindly reply to the email and we will give you the details of how you can be part of the training. We continue to enlighten people about the CBN loan through our orientation and consultation session by 11am on Monday and 10am on Tuesday to Friday. A lot of people are impressed about the idea and jumping into the opportunity already. I want you to click the link below and be part of the next session.